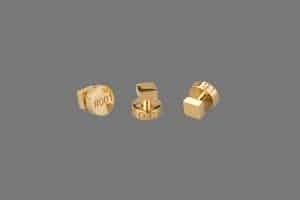 Inspired by the simplicity of mathematical shapes, these studs are the perfect finishing touch to any shirt. Wear them in a row – 5 on a normal shirt – or wear just one for that elegant touch. 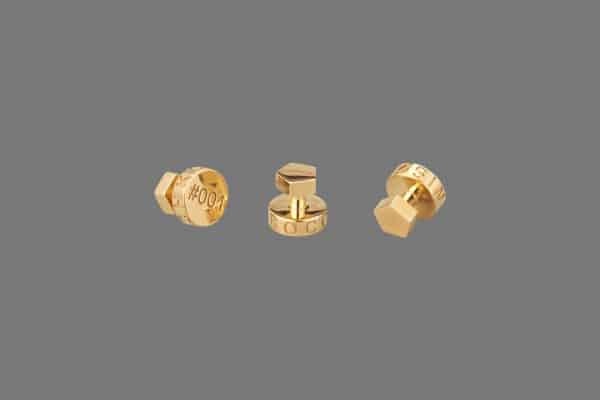 A classic shape reinvented, these studs embody timeless elegance and are a refined mix of industrial minimalism and sophisticated masculinity. 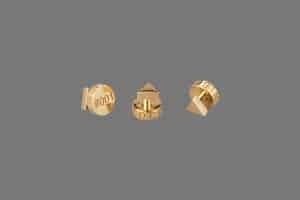 These studs are the perfect finishing touch to any look, whether it’s black tie or casual chic and are guaranteed to make you stand out in a crowd. Each Stud is made through a process where the oldest and latest gold smithing techniques meet. 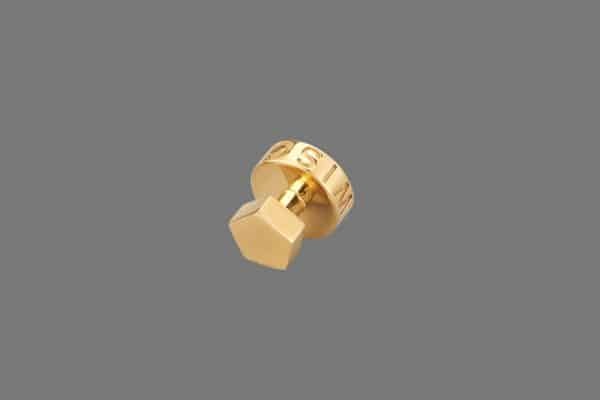 The Studs are made using the ‘lost wax casting process’. A 3D printed positive model in wax is covered in a ceramic coating, which is then heated to melt the wax, leaving a hollow mould to be filled with a molten metal of your choice. After cooling, the Studs are hand polished, plated with a metal of your choice and hand polished again. 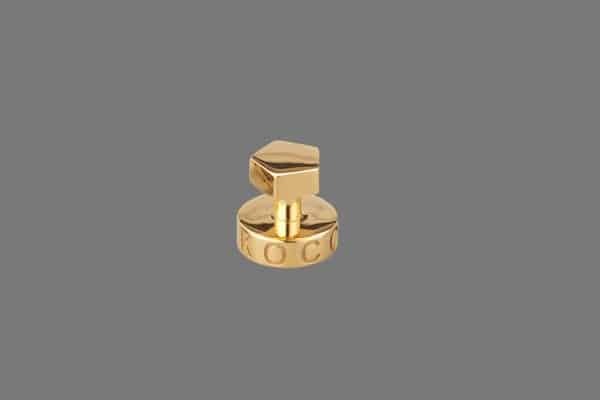 All studs are available in 18 carat gold plated and sterling silver. Each stud is numbered with a unique serial number and comes with a certificate of authenticity, guaranteeing the exclusivity of the item. You can also choose to have your initials cast on the studs, instead of the serial number.